Current NABF Jr. Lightweight champion Tevin Farmer successfully retained his title with a ten round unanimous decision over a very “Game” Dardan Zenunaj on Friday night at the 2300 Arena in Philadelphia, PA. The fight was dominated by the hometown favorite Farmer’s ability to use his hand speed and lateral movement to get his punches off first. Although Zenunaj was consistent in trying to pressure Farmer and occasionally backed the North American Boxing Federation champion up on the ropes, he was not able to land anything significant. Farmer often would catch Zenunaj, a native of Pec, Kosovo, with offense as he came forward and would use his movement to evade him. This was particularly evident during moments when Farmer was on the ropes. Although Zenunaj never stopped trying to turn the ebb and flow of the fight in his favor, he was unable to turn things around and as the fight progressed would taunt Farmer when Farmer would land punches cleanly. At the end of the ten round bout, Farmer had retained his championship. Official scores were 98-92, and 99-91 (On two scorecards) in favor of Farmer. Unofficially, I scored this fight 100-90 or ten rounds to zero for Farmer. Tevin Farmer advances to 24-4-1, with 5 Knockouts. Dardan Zenunaj falls to 12-3, with 9 Knockouts. Also on this card, in a Cruiserweight bout, former NABF/USBA Cruiserweight champion Garrett Wilson scored a six round majority decision over veteran Lamont Capers. This was a fight where Wilson often landed the cleaner more effective punches, but Capers dictated how much of the fight was fought due to his reach advantage, ability to make Wilson miss, and keeping him at distance. It was Wilson’s overall aggression however, that prevailed as he was able to win the fight on two of three official scorecards to earn the majority decision. Official scores were 57-57, and 58-56 (On two scorecards) for Wilson. Unofficially, I scored this bout 59-55 or five rounds to one in favor of Capers. Although Wilson was clearly more effective when he was able to land his punches, the majority of the rounds were dictated by Capers and even though Capers’ punches were not as effective as Wilson’s, Wilson wasn’t able to land consistently enough, in my opinion to win rounds. It was one of those fights that can have a wide range of scoring and it doesn’t surprise this observer to see varying scores with regard to this fight. Garrett Wilson advances to 17-11-1, with 9 Knockouts. Lamont Capers falls to 7-9-2, with 0 Knockouts. In the Lightweight division Victor Padilla, who was one of five fighters who made their professional debuts on this card scored a second round knockout over Kim St-Pierre. A right/left combination to the head from Padilla sent St-Pierre to the ropes and a follow up barrage ending with a right hook to the body sent St-Pierre down for the count. Official time of the stoppage was :59 of round two. Victor Padilla advances to 1-0, with 1 Knockout. Kim St-Pierre falls to 1-3, with 1 Knockout. In the Featherweight division, unbeaten prospect Jose Gonzalez scored a one-sided four round unanimous decision over veteran Tim Ibarra. Gonzalez was simply the more active of the two fighters and outworked Ibarra over the course of the fight to win a convincing decision. Official scores were 39-37, and 40-36 (On two scorecards) in favor of Gonzalez. Unofficially, I scored this fight 40-36 or four rounds to zero for Gonzalez. Ibarra simply would not let his hands go and Gonzalez being able to bring the fight to him was the story of the fight. Jose Gonzalez advances to 6-0-1, with 2 Knockouts. Tim Ibarra falls to 4-4, with 1 Knockout. In the Jr. Lightweight division, Joseph Adorno scored two knockdowns in the first round of an overmatched Guy Newman to earn his first professional victory via stoppage. Official time of the stoppage was 1:37 of round one. Joseph Adorno advances to 1-0, with 1 Knockout. Guy Newman falls to 0-2, 0 Knockouts. In a Heavyweight bout, unbeaten Iegor Plevako scored a second round knockout over a debuting Montrell Castro. Plevako knocked Castro down with a barrage of punches late in the first round and the fight was stopped in round two after a left hook to the head hurt Castro and he almost scored a double-leg takedown of Plevako as he was going down to the canvas. The bout was promptly stopped by Referee Shawn Clark. Official time of the stoppage was :31 of round two. Iegor Plevako advances to 2-0, with 1 Knockout. Montrell Castro falls to 0-1, with 0 Knockouts. In what was the fight of the night, Jr. Middleweight Roque Zapata scored a thrilling four round majority decision over previously unbeaten Isaiah Wise. 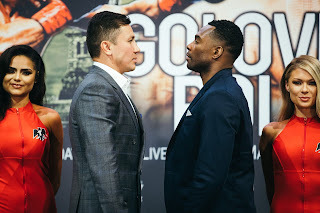 The two fighters engaged in a toe to toe war where both fighters had points of effectiveness in every round in a bout and a fight where both fighters received a standing ovation from the crowd in attendance. Zapata was declared the winner on two official scorecards. Official scores were 40-36, 39-37 for Zapata, and 38-38 giving Zapata a majority decision victory. Unofficially, I scored this fight 38-38 or two round a piece, a draw. Frankly, this was a fight that needed to be scheduled for a longer distance as it was too close to call, in this observer’s opinion. It would not be surprising to see a rematch between the two in the near future. It was one of those fights that if you are a fan of the sport, you wanted to see more. Roque Zapata advances to 2-1-3, with 0 Knockouts. Isaiah Wise falls to 3-1, with 2 Knockouts. In a bout between two debuting Jr. Middleweights, Marcel Rivers destroyed Tony Kim in one round. Rivers scored the first of what became two knockdowns with a brutal barrage of punches that was started with a right hand to the head. Rivers finished Kim off with a follow up barrage which forced Referee Hurley McCall to stop the fight. Official time of the stoppage was :41 of round one. Marcel Rivers advances to 1-0, with 1 Knockout. Tony Kim falls to 0-1, with 0 Knockouts. Overall, this eight fight card was an entertaining look at fighters ranging from the very beginning of their careers to veterans like Garrett Wilson, who was looking to get back in the win column after losing his four previous bouts, to current NABF Jr. Lightweight champion Tevin Farmer. Farmer, who has been undefeated for over four years and with his win over Dardan Zenuaj has won seventeen straight fights and has also established himself as one of the top contenders in the 130lb. Jr. Lightweight division. It will be interesting to see if Farmer, who is ranked number three in the world by the World Boxing Council (WBC) and number ten in the world by the World Boxing Organization (WBO) will get an opportunity at a world championship in 2017 and how several of the fighters who competed on this card that are either approaching prospect status or made their professional debuts progress going forward.